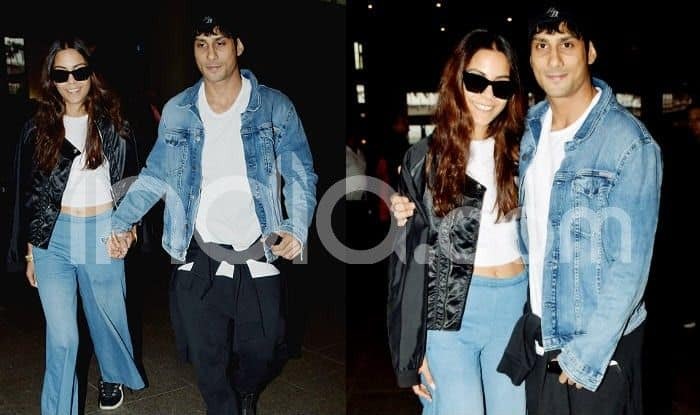 Newlyweds Sanya Sagar and Prateik Babbar ditch traditional Indian attires and travel stylish while arriving in Mumbai. 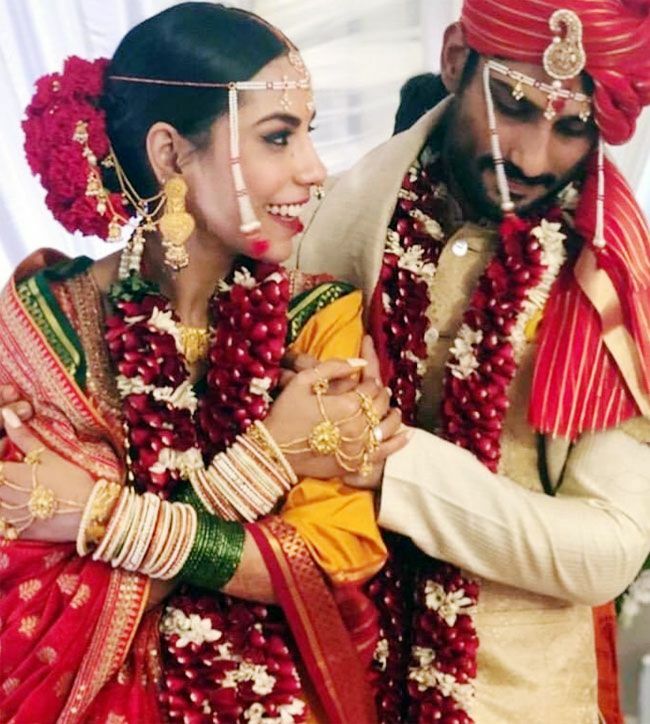 Prateik and Sanya got married as per Marathi wedding rituals. Their pictures from the wedding surfaced on the internet and went viral instantly. The event was attended by the couple’s family members and close relatives. Reports suggest that a wedding reception in Mumbai is expected to happen this week. At the wedding, the bride and groom both looked resplendent in traditional attires, with Sanya wearing a yellow saree that had green and red borders, and Prateik in a cream cloured kurta-pyjama. The two had got engaged in January last year, and pictures that have emerged, showed the couple glowing as they went through with the rituals.